Occasionally we need to ditch the sweaty jersey and dress respectably. 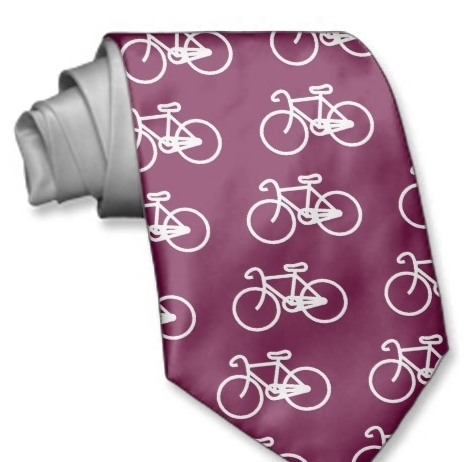 For those times I present to you the Bike Tie! Seems to be selling for $37.95 each. I may have to pickup a few of them.